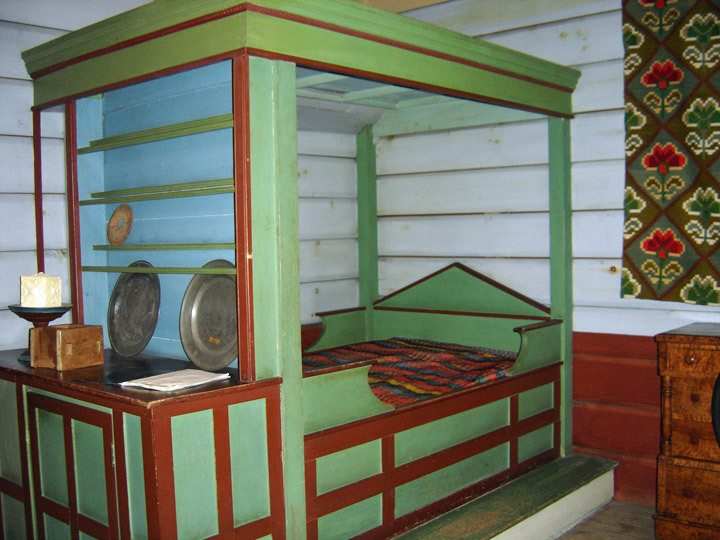 The Haugan House is one of the ongoing exhibitions in the open air division of the museum. 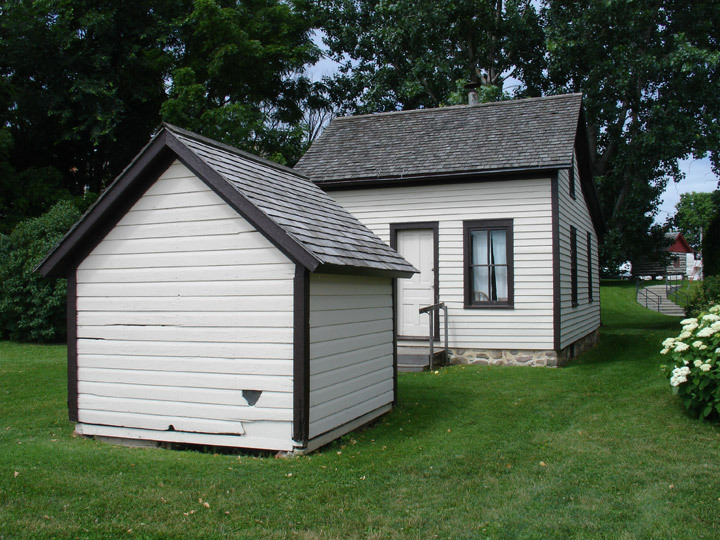 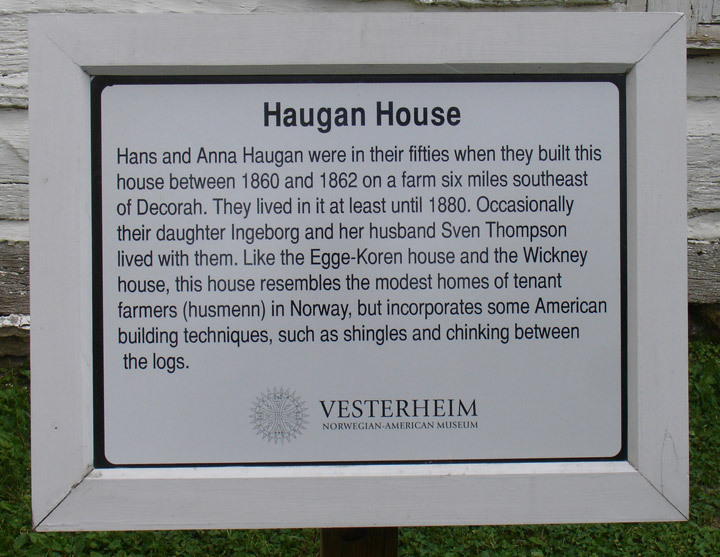 Norwegian immigrants Hans and Anna Haugan built the house on a farm southeast of Decorah during the 1860s and lived in it at least until 1880. 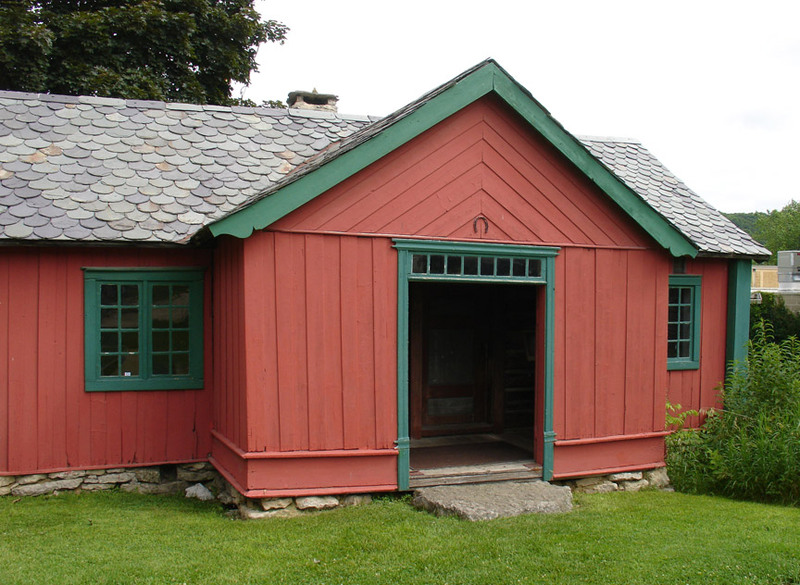 The house is a representative example of the husmann dwelling (Norwegian: hytte) used in Norway during the 19th Century. 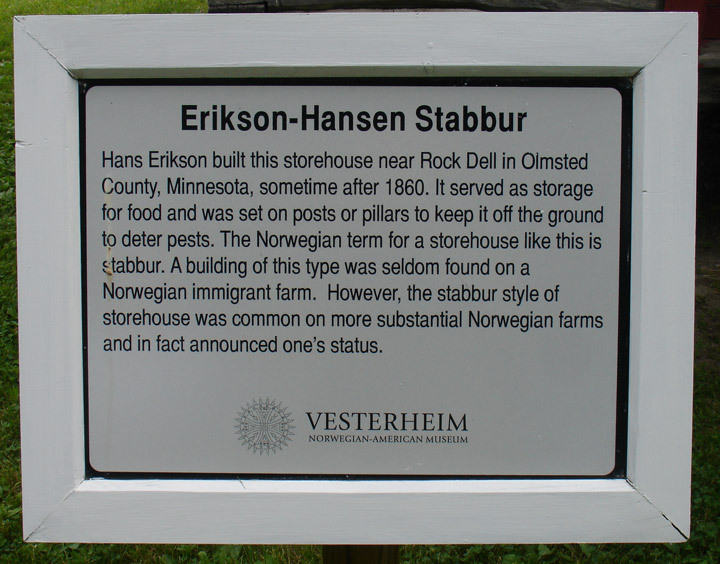 Husmann is the name for the Norwegian tenant farmer with leasehold estate somewhat similar to the Swedish torp or the Scottish crofter. 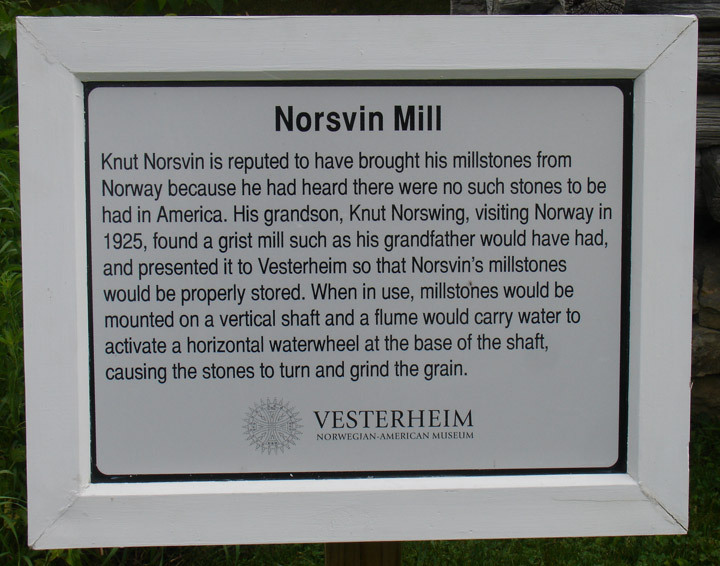 The husmann formed a key element of the Norwegian farm culture. 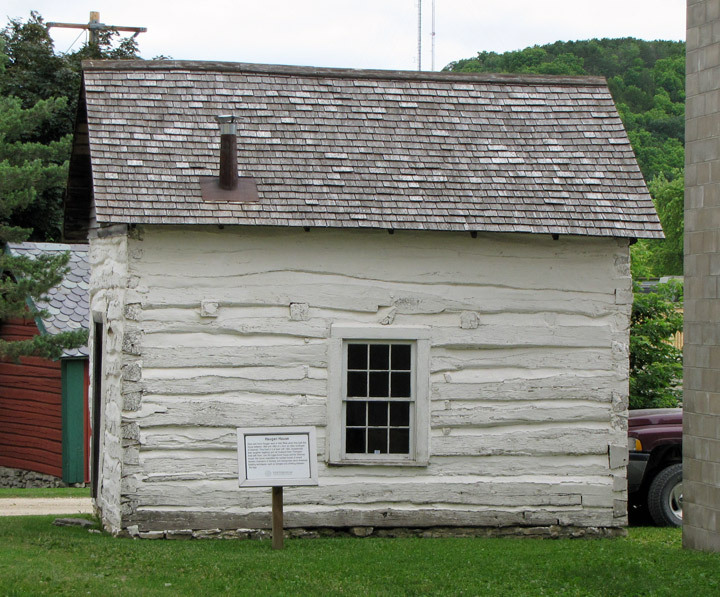 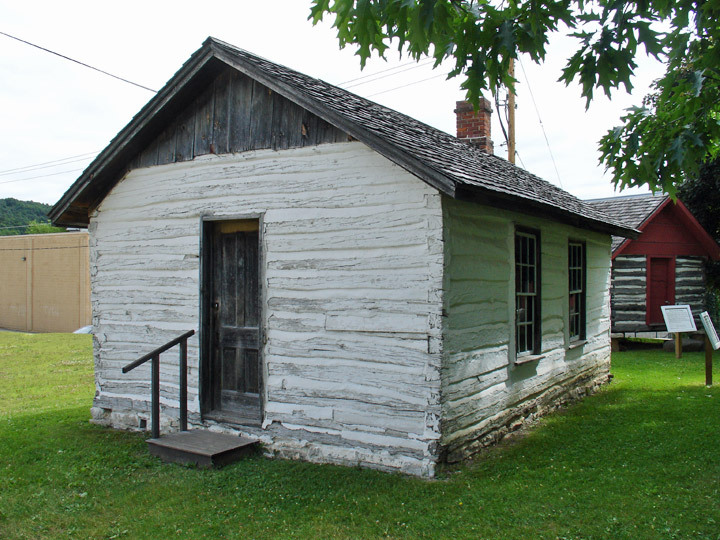 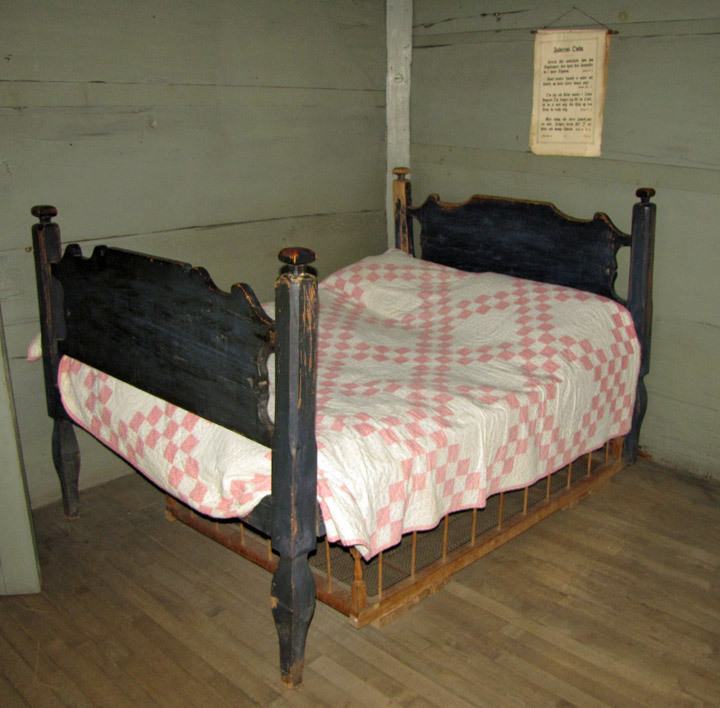 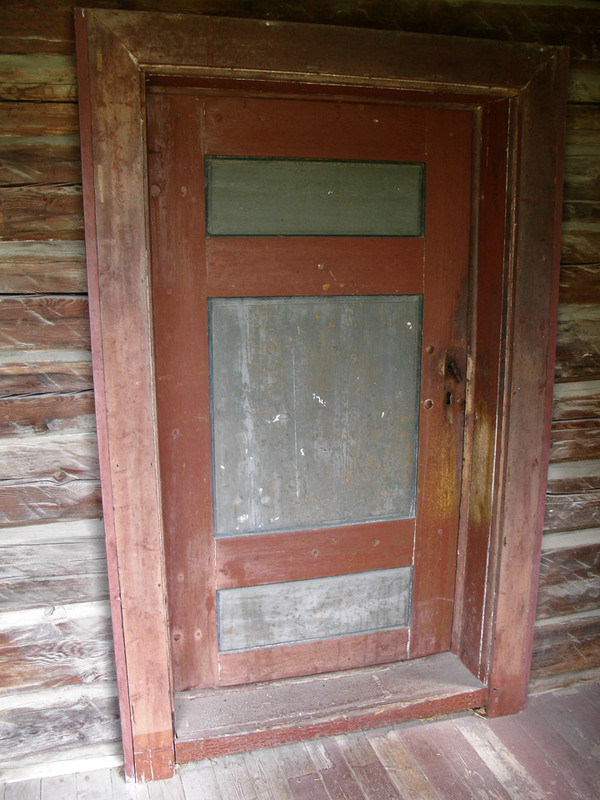 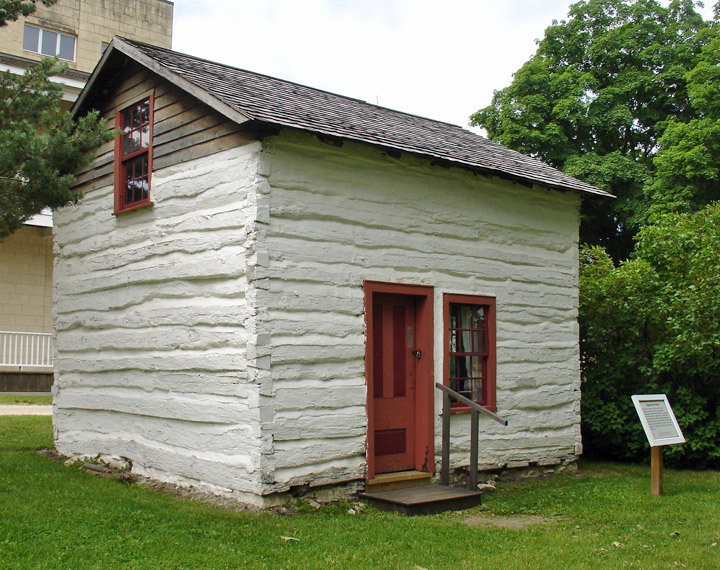 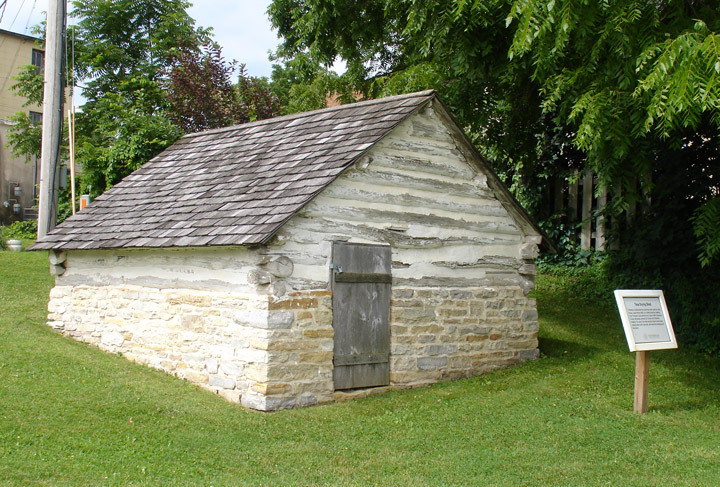 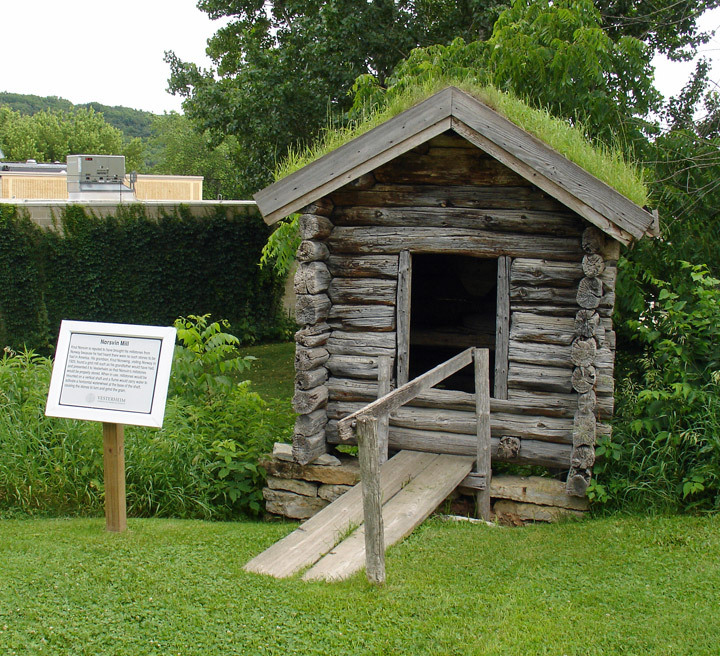 The house used by typical husmann was often a simple log cabin or cottage made of rough hewed lumber. 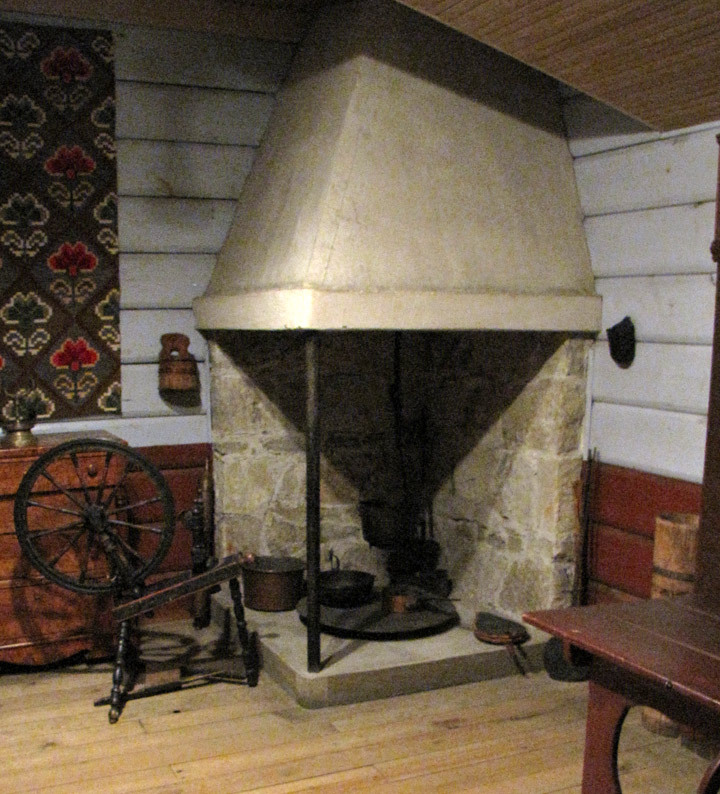 This represents a typical Norwegian landowner’s home. 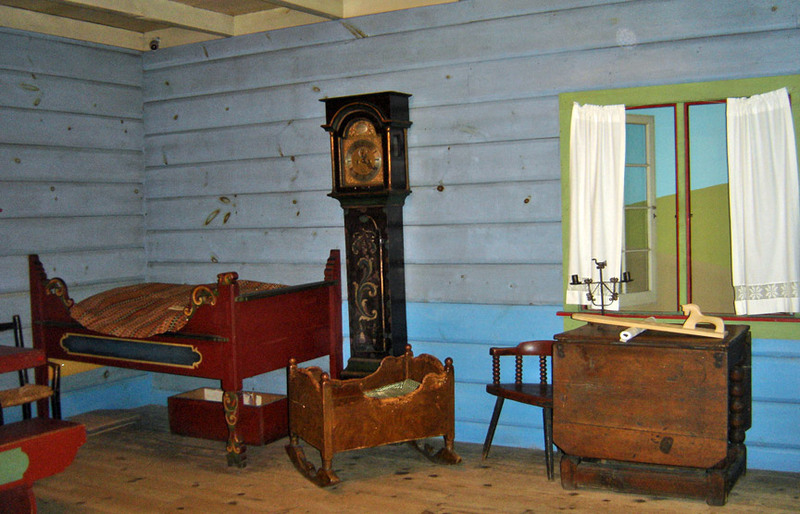 The Valdres House was built about 1795 on the Moahaugen farm in Heggenes, Øystre Slidre in Oppland, Norway. 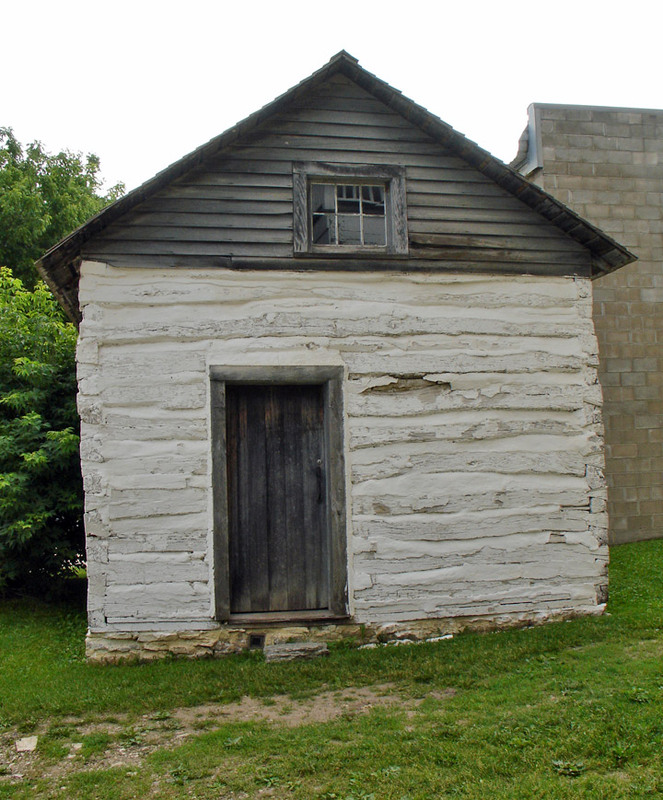 The house was enlarged and a covered entry added in the 1860s. 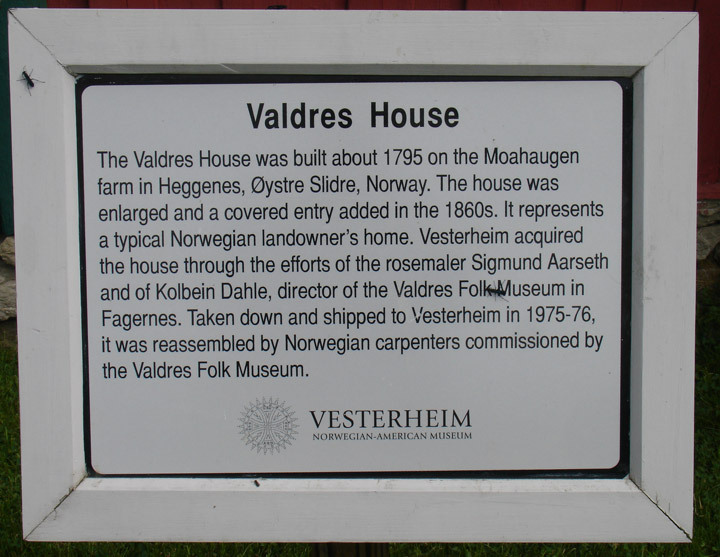 Vesterheim acquired the house through the efforts of the rosemaler Sigmund Aarseth and of Kolbein Dahle, director of the Valdres Folk Museum in Fagernes, in the valley of Valdres, Norway. 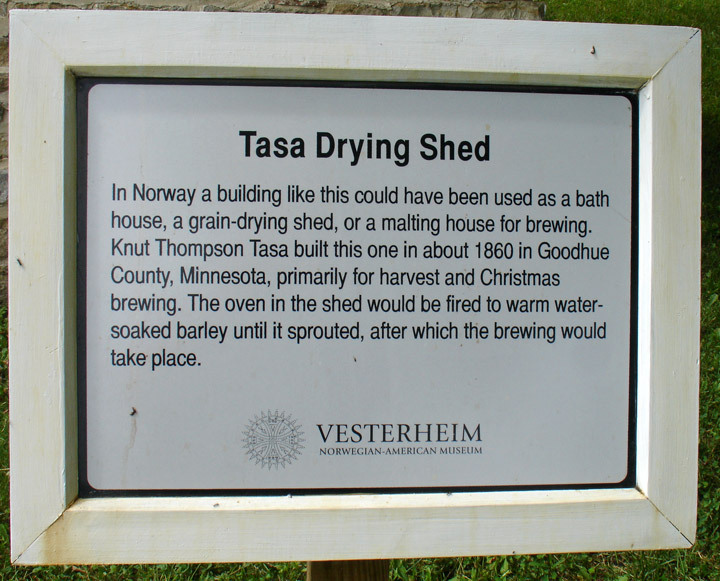 The house was taken down and shipped to Vesterheim in 1975-76. 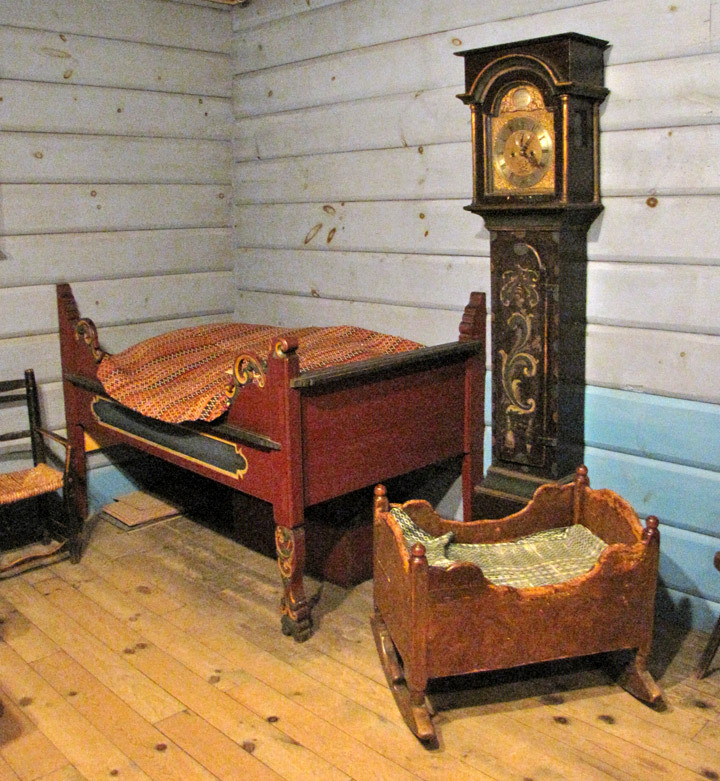 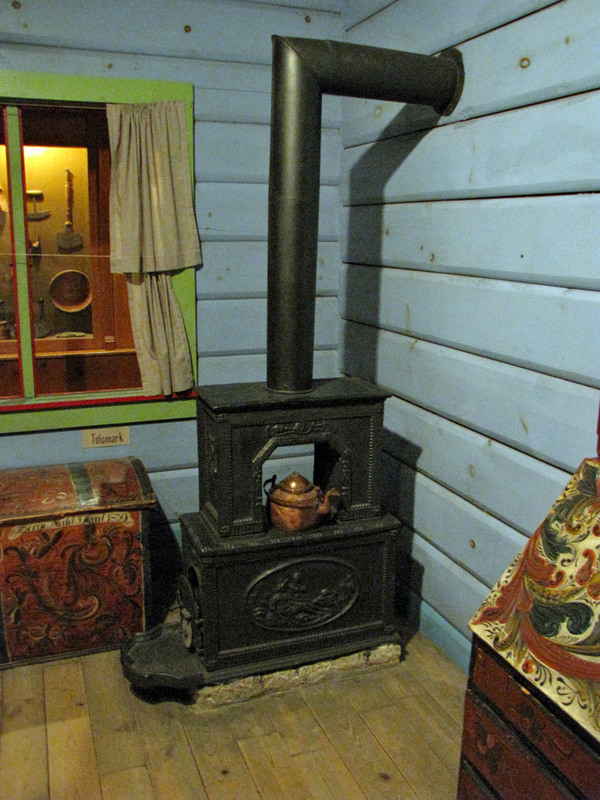 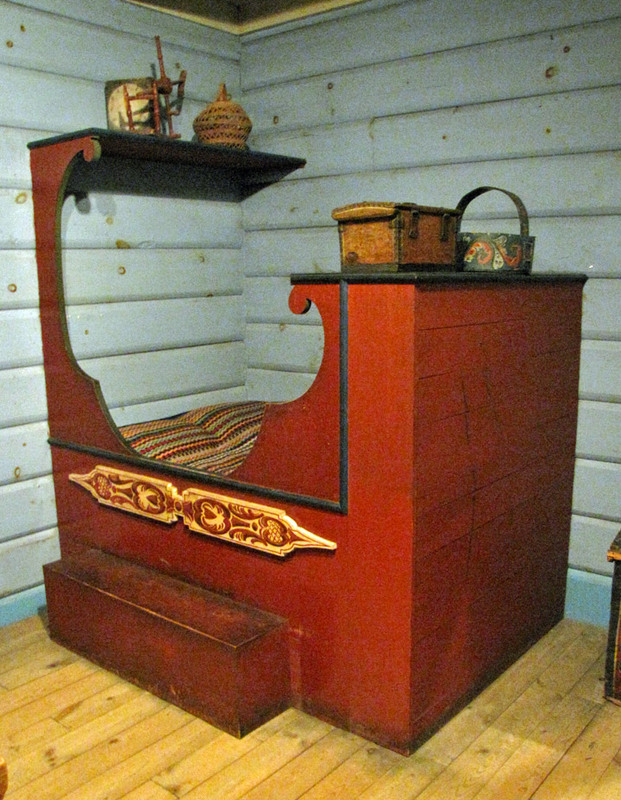 The house was reassembled by Norwegian carpenters commissioned by the Valdres Folk Museum.m. 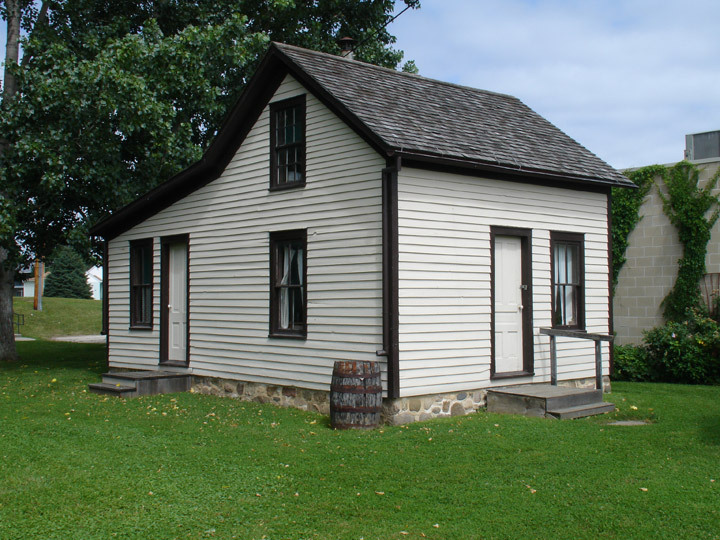 Erik Egge built this house in 1852 on his farm five miles southeast of Decorah. 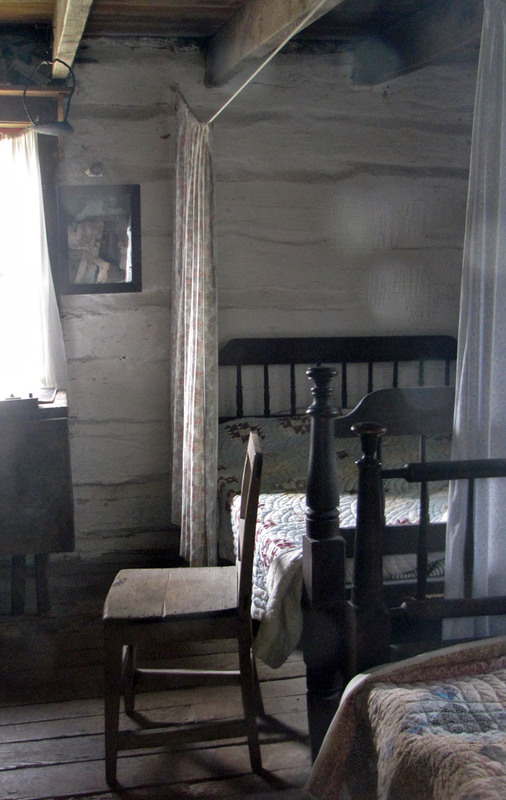 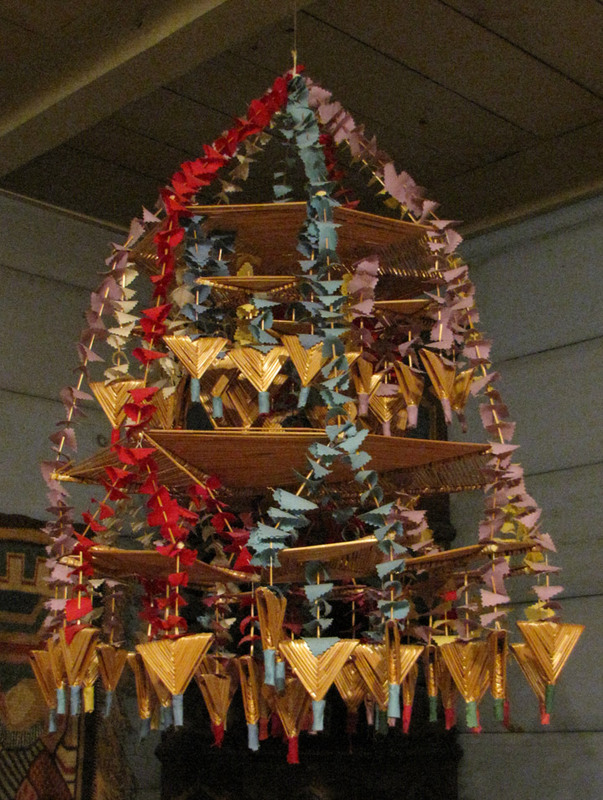 In July 1853, he married Helen Pedersdatter, a widow with two small children. 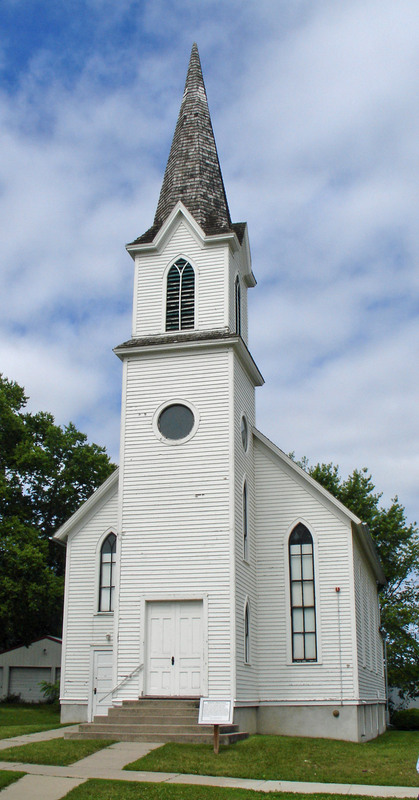 From December 1853 to March 1854, the newlyweds, Rev. 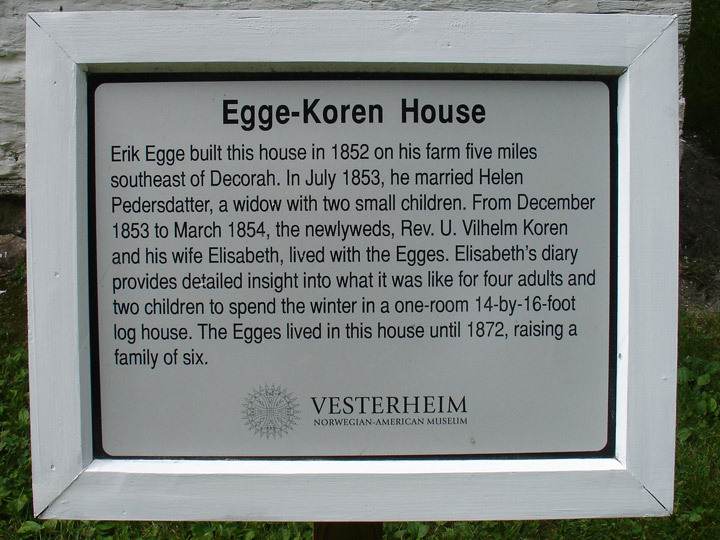 U. Vilhelm Koren and his wife Elisabeth, lived with the Egges. 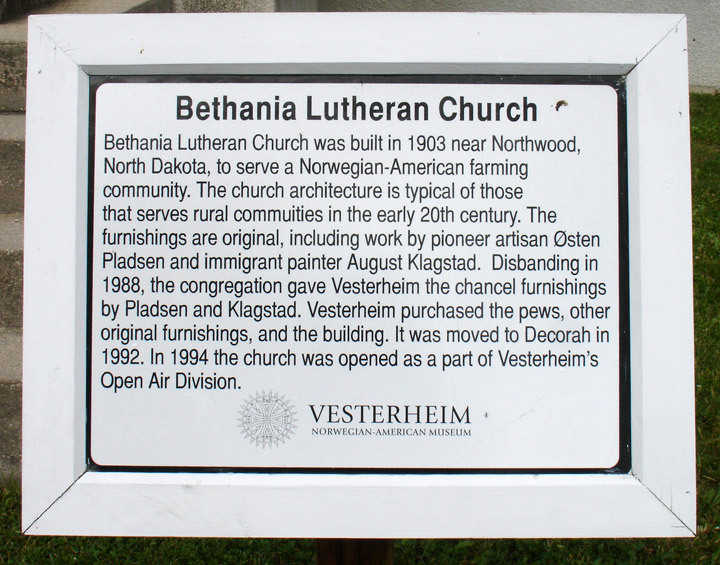 Ulrik Vilhelm Koren was a pioneer Lutheran minister, who played a significant role in the development of the spiritual and intellectual development of Norwegians in America. 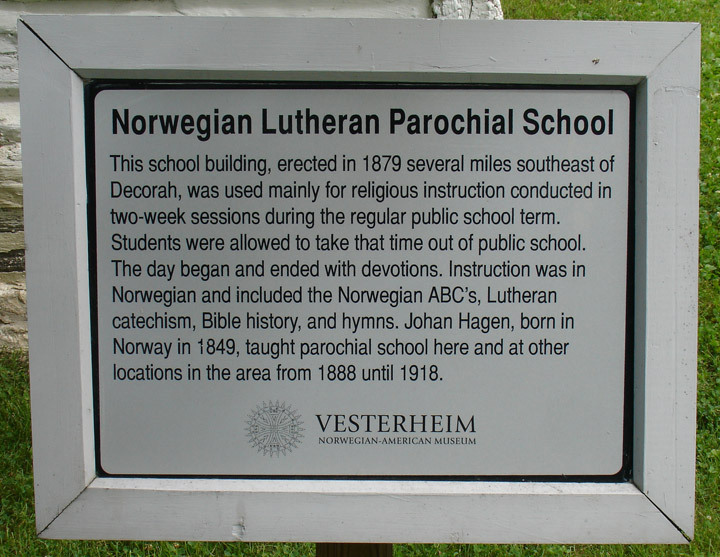 Koren played an active part in the Synod of the Norwegian Evangelical Lutheran Church in America, holding various including president of the synod from 1894 until his death in 1910. 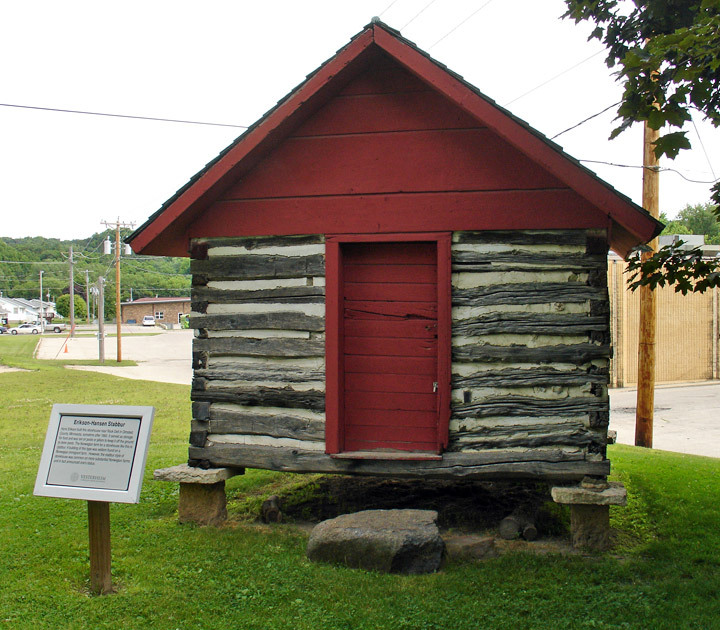 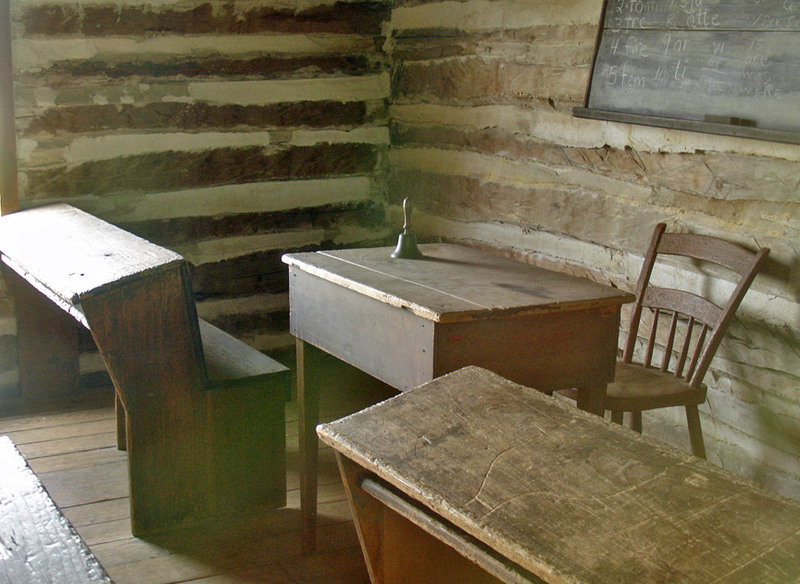 Elisabeth Koren was an author of The Diary of Elisabeth Koren, 1853-1855 which provides detailed insight into what it was like for four adults and two children to spend the winter in a one-room 14-by-16-foot log house.